More than two decades ago, HBR invited 10 executives of color to a roundtable discussion of race in the workplace and published an edited transcript of their conversation. Recently I pulled that article out, thinking it would give me a sense of how the landscape had changed since 1997. But when I read it, I was startled. The discussion didn’t feel dated at all. In fact, the topics those leaders addressed are completely of-the-moment. African Americans are still seriously underrepresented in the senior ranks of organizations. Hiring and promotion processes still favor people from the same racial, gender, and class background as the decision maker. People of color still have less access to important social networks than whites do and still sense that white colleagues are surprised when they show they’re competent, intelligent, and hardworking. Well-meaning white people don’t think they could possibly be part of the problem. But rigorous research into implicit biases suggests that they’re probably wrong. These realities don’t just create barriers; over time they wear people down. And they’re made worse by the fact that the people with the power to improve things (most of whom are white) tend to be deeply uncomfortable talking about race in their own workplaces. So how can we begin to change the dynamic? 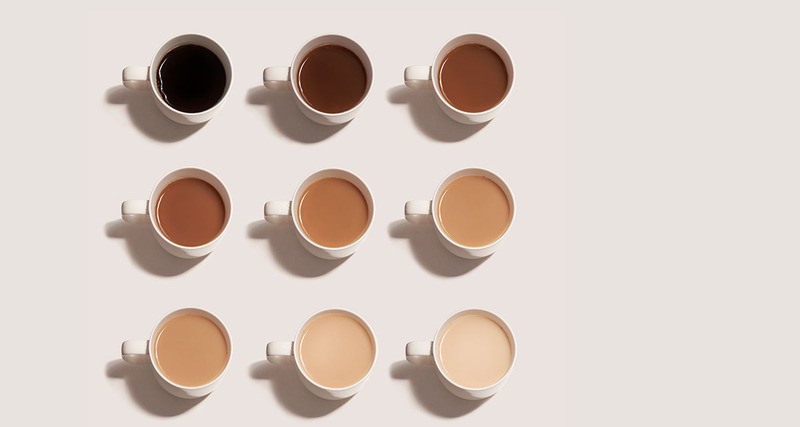 Over the years, HBR has published many articles about how to tackle these problems and increase diversity in organizations. But if you’re an individual white manager, as I am, what can you do on your own? At a minimum, you can start to learn more about what it feels like to live and work in the United States when you’re not white. Some recent books and podcasts can help. The best-known of these is Michelle Obama’s terrific memoir, Becoming. There are two strands of the book. The first is a classic American success story. Born into a happy, tight-knit working-class family, Obama relied on innate talent, luck, community support, and her own drive to get a first-class education at a public magnet school and then Princeton and Harvard Law. She’s a profoundly orderly person who fell in love with and married an idealistic whirlwind of a man and has since raised two delightful children with him. She’s done work that makes a difference in the world. Oh, and she was the First Lady. Obama is matter-of-fact about all this. She has no self-pity and, in truth, very little anger, but she doesn’t sugarcoat the reality that she and other African Americans live. She might say that it’s just the tax she pays for being black in America. Still, it’s a very high tax—one that’s easy to forget if you don’t have to pay it. Obama is a pragmatist; Casey Gerald, in contrast, may be a genuine visionary. His beautifully written memoir, There Will Be No Miracles Here, builds on his famous TED talk. Like Obama, he describes a swift ascent from very modest circumstances, but he also makes a powerful argument for societal change. “I…made it to the mountaintop,” he writes, “…and I have come with urgent news: we must find another mountain, if not another world, to call our own.” It’s worth noting that this apocalyptic tone—applied not just to race but to an array of ideas and institutions—was echoed in other upcoming memoirs from Millennial black writers that I looked through. Maybe that’s a coincidence, or maybe it signals some interesting changes coming from a new generation of black intellectuals. But let’s get back to pragmatism. For a broad view of how people of color navigate the workplace, you might turn to Let Them See You, by Porter Braswell, cofounder of the job-search firm Jopwell. A self-help book aimed at professionals from underrepresented groups, it has the attention-grabbing headlines typical of the genre—such as “why you need a personal brand at work” and “your elevator pitch for diversity.” But behind the zippy language is a sophisticated understanding of the challenges racial minorities face at work as well as a wealth of smart tips for flipping them to be an advantage. I’d recommend it not only to the target audience but also to white professionals interested in supporting a workforce that’s more comfortably, productively diverse. More insights can be gleaned from various podcasts. I particularly like Code Switch and Still Processing; neither focuses primarily on workplace issues, but both feature accessible conversations on race-related topics. NPR’s Code Switch looks at how race, gender, ethnicity, and identity intersect in people’s lives. (Episode recommendation: “The Code Switch Guide to Handling Casual Racism.”) Still Processing, hosted by New York Times cultural writers Jenna Wortham and Wesley Morris, looks at news and pop culture through the lens of race. (Episode recommendation: “We Sink Our Claws into ‘Black Panther’ with Ta-Nehisi Coates.”) In addition to great cultural commentary that offers a window into the nonwhite American experience, these podcasts offer a playbook for talking about race honestly, even when you’re worried about saying something stupid or stepping on a land mine. They model the sort of behavior we need more of in the office. Of course, educating yourself about others’ experience is just a first step. It’s on all of us to make sure that 20 years from now, HBR’s 1997 roundtable sounds truly antiquated. A version of this article appeared in the March–April 2019 issue (pp.146–147) of Harvard Business Review.